Count on us for fast, same-day emergency repairs! Urgent problems must be treated with high priority. Thankfully, our team Garage Door Repair Diamond Bar has multiple crews and can always get to you quickly and take care of your problems safely. We have excellent means and a very powerful infrastructure that allow us to cover any electric garage door need you may have with great speed. Our emergency repair services are provided by knowledgeable technicians who will aim to solve all your problems before they become a real threat to your safety or to the security of your home. Our special teams always come fully equipped with all the necessary equipment they need in order to help you as quickly as they can. You can rest assured that any problem you have will be quickly resolved with our assistance. Our knowledge of the different opener brands and all of their various models has become one of our strongest tools. It allows us to take care of even the most complex of issues. Our Liftmaster and Genie opener specialists can repair any problem with the motor as well as take care of different issues related to misaligned safety sensors. Our work is always efficient, and our technicians make every possible effort to get things fixed on the spot, and not leave anything to the future. If the damage to your door proves to be beyond repair, we can replace the component in question. Our ultimate goal is to ensure that your overhead door will move properly, close down perfectly and will be free of any problem. But when we respond to an emergency scenario, we want to first make sure you are in no danger. That's why we advise all of our customers to avoid trying to use their door during these types of situations. If a spring broke or your door got off track, tampering with it can lead to further damages and may even cause a serious injury. We'll never keep you waiting! Our emergency repair service technicians work fast, and we'll get to you as quickly as we can. We come carrying the necessary replacements parts, and can safely remove any snapped cable or spring and install a new more durable one in its place. 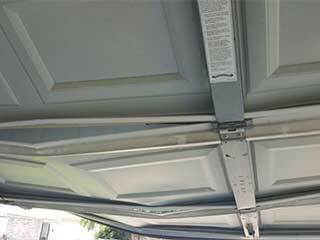 Contact Garage Door Repair Diamond Bar whenever you need urgent assistance!